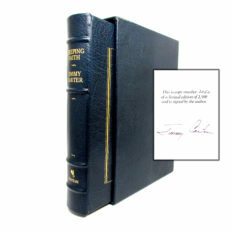 Octavo, xi, [blank], 211pp. 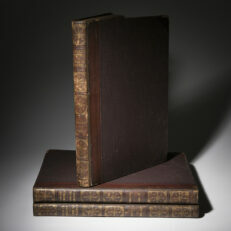 Publishers black cloth, gilt title on spine. 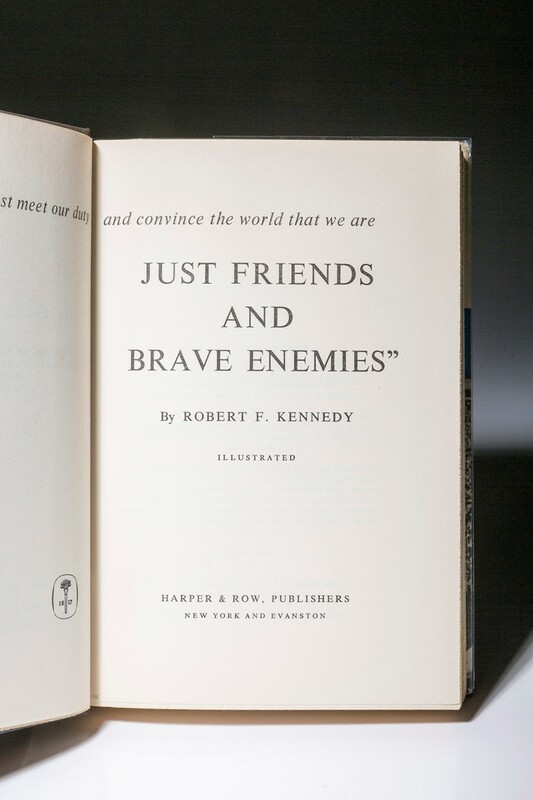 16 pages of black and white illustrations. 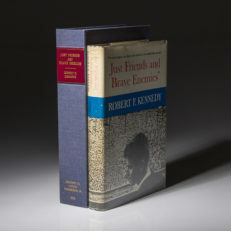 Stated first edition on copyright page, with “F-M” noting publication in August, 1962. 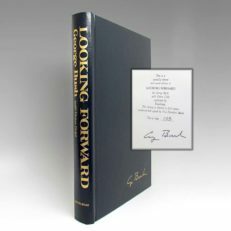 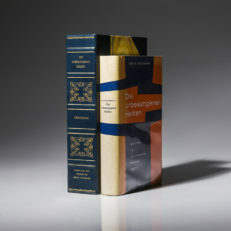 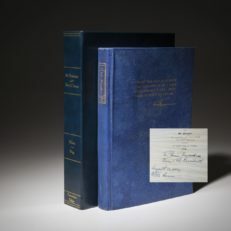 Publishers first issue dust jacket, with $3.95 price on front flap and “0862” code at bottom, light fading to spine, creases along top edge of spine, mild dampstaining to back cover, two scratches to front panel. 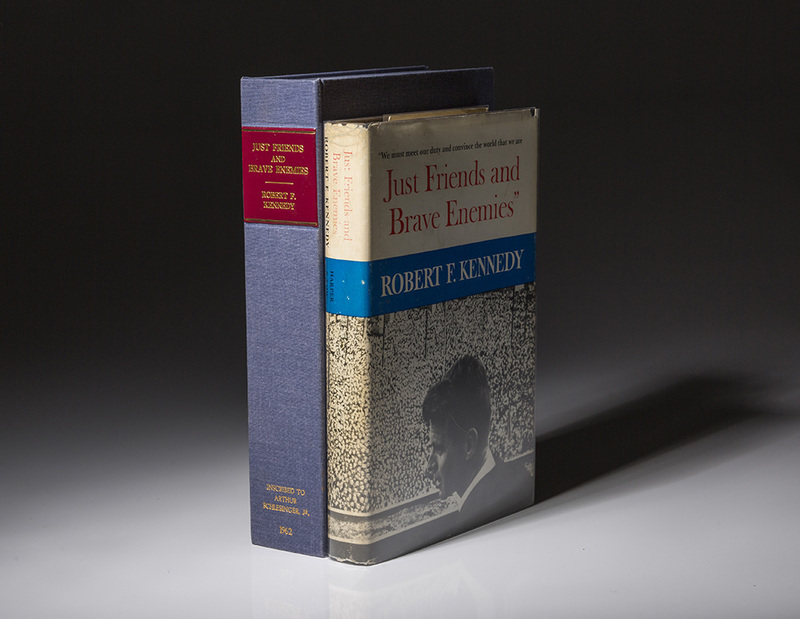 Housed in custom made clamshell case, blue cloth, title in gilt over red morocco label on spine, fine. 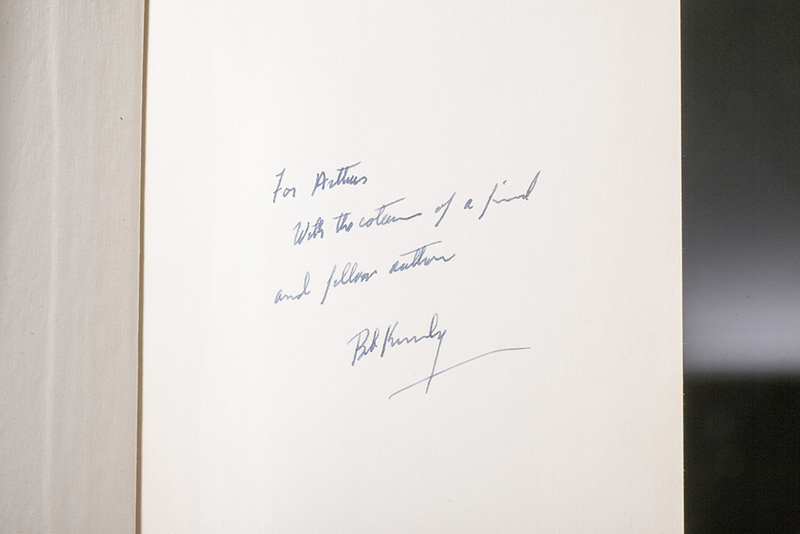 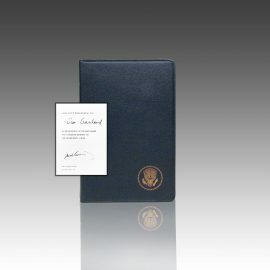 Signed on front endpaper by Robert Kennedy to author, historian and family friend, Arthur Schlesinger. 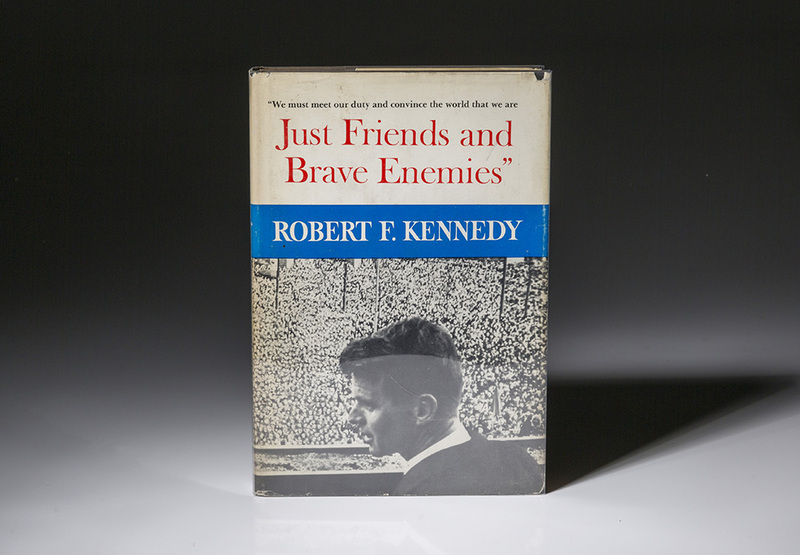 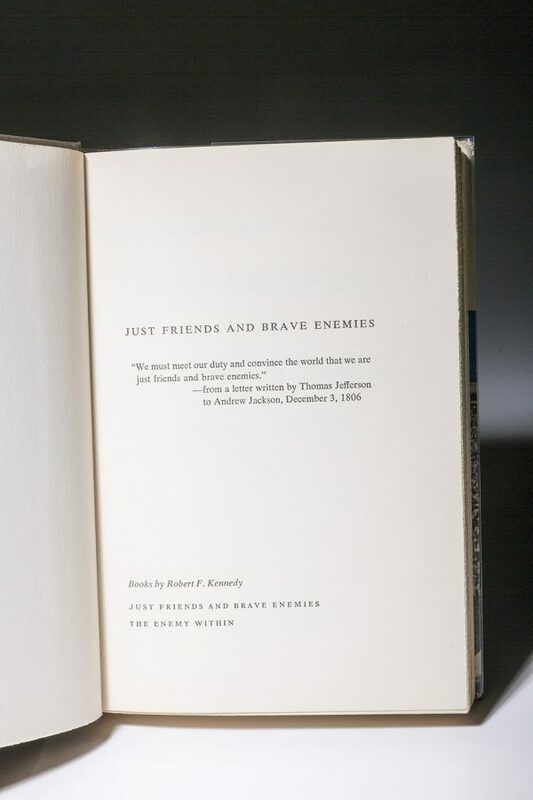 Inscription reads: “For Arthur, with the esteem of a friend and fellow author, Bob Kennedy.” An incredible association copy. 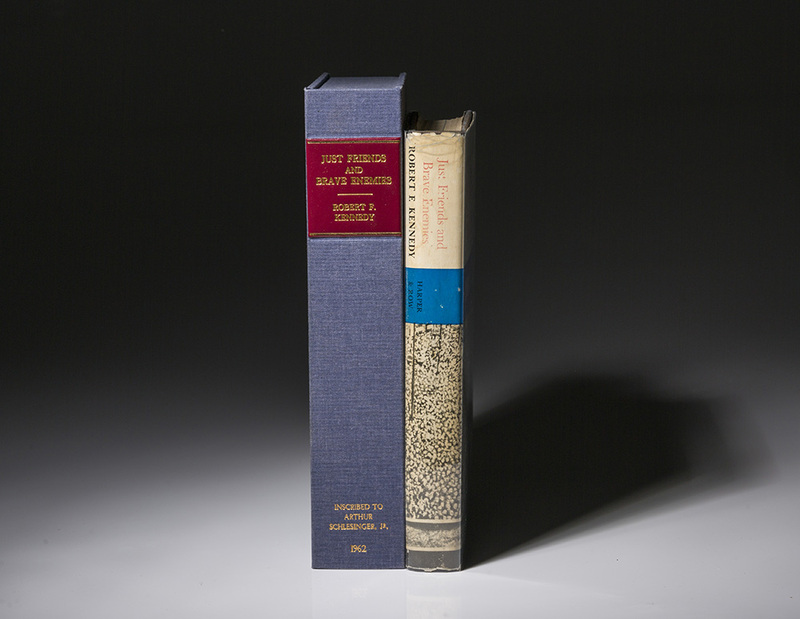 Die unbesungenen Helden [The Unsung Heroes] – Menschen in Deutchlands dunklen Tagen	 History of the Indian Tribes of North America, with Biographical Sketches and Anecdotes Of the Principle Chiefs. – Embellished with One Hundred and Twenty Portraits from the Indian Gallery in the Department of War, at Washington.